For the first time in his illustrious career, Murray Perahia turns his attention to Beethoven's monumental Hammerklavier sonata, alongside the ever-popular Moonlight sonata. Living legend of the piano Murray Perahia records two benchmark sonatas by Beethoven for the first time in his career. Long renowned for his performances of this composer, Perahia’s brand new recording pairs together two of the most radically ground-breaking of Beethoven’s 32 piano sonatas, in a release that is sure to be a crown jewel of the Beethoven discography. Murray Perahia stands in the tradition of the great keyboard virtuosi as an artist armed with consummate technical skills, boundless imagination and near-mystical eloquence. Murray Perahia explored the “Hammerklavier” Sonata first when he was in his mid-twenties. While the work’s enormous technical and physical challenges fell within his grasp, its profound musical demands eluded him. He quietly dropped the “Hammerklavier” from his repertoire, recognising that he would need time to fathom its cosmic depths. Over four decades passed before he felt ready to programme the piece in recital. After years of studying the original manuscripts, working sketches and editions published during the composer’s lifetime, and having edited the new Henle Urtext edition of The Complete Beethoven Piano Sonatas, Perahia now presents two of Beethoven’s most famous sonatas as a revelation. The pulse of the Scherzo is rigorously even, but it has explosive energy; the sheer precisions of the articulation in the finale is a pleasure, as he takes us boldly through its labyrinth of furiously contending ideas…Perahia’s account of the Moonlight Sonata is no less exemplary. He brings out the grave poetry of the Adagio, presents a relaxed and conversational Allegretto, and the finale has charm, rather than the facetious excitement with which many pianists imbue it. 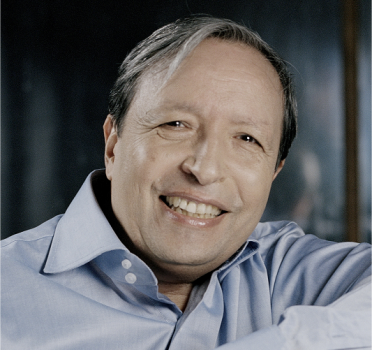 Perahia is artist enough to know that great art is never, of itself, ugly. It may be Beethoven’s instinct to push every component of the dauntingly complex contrapuntal finale [of the Hammerklavier] to its logical conclusion (and beyond) but Perahia, though honouring the intent, declines to turn the music into a rout. In matters of musical diction, lucidity matters. The result of Perahia’s study is utterly compelling. Tempi are fast throughout...The impetus caught me by surprise at first, but...Perahia’s tempi and pacing come from the music...Every phrase is perfectly articulated, and at such speed, too. [The Moonlight Sonata] provides huge contrast and Perahia produces a beautifully shaped and absorbing performance. With great, naturally clear sound from DG, this recording deserves to go straight to the top of the Classical Charts. At just over forty minutes, it must be one of the swifter accounts [of the Hammerklavier] out there, and yet it never feels hurried or “too fast”, partly because of the clarity and conviction that Perahia brings, but also because of the care he takes over the ends of phrases...Perahia latches onto this idea of [the Moonlight] being more of a fantasy, and brings a wonderful freedom to his playing.